Are you planning to purchase the new Macbook 2015? While it has not been officially released yet, Apple's online store reveals its price for the Philippine market. The other model with 512GB PCIe-based onboard flash storage1, 1.2GHz dual-core, Intel Core M processor, Turbo Boost up to 2.6GHz, 8GB memory, Intel HD Graphics 5300 will be priced at Php 79,990. 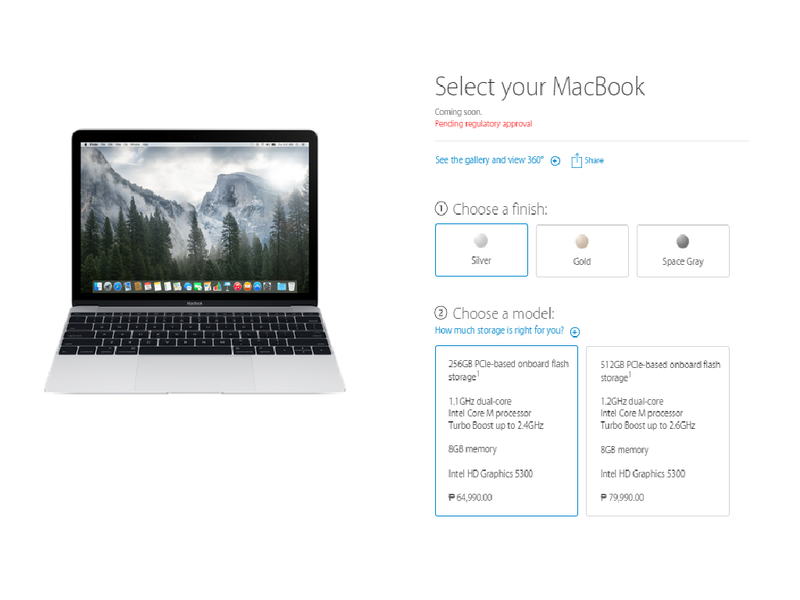 The new Macbook 2015 is not yet available for pre-order and purchase, as of the moment. It is expected to be released on April 10th. Arrival to the Philippine market is still unknown.